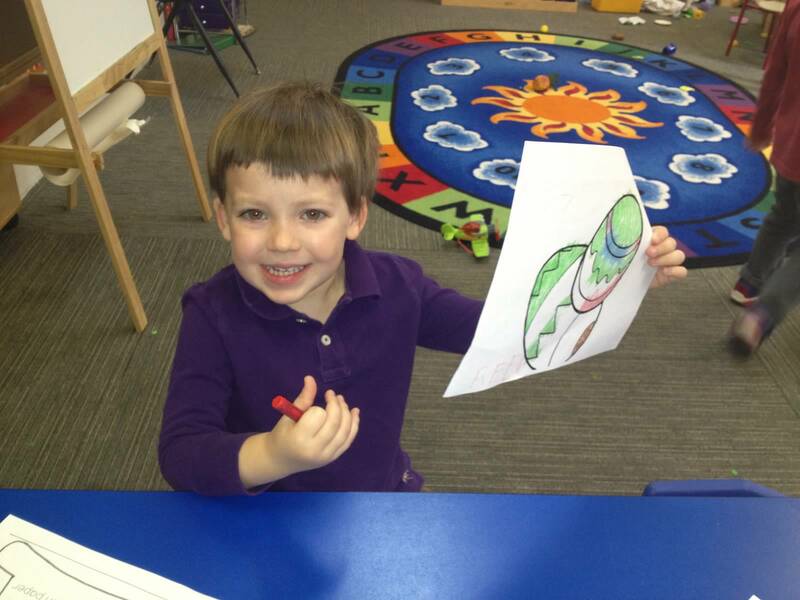 We offer five classes ranging from infants to Pre-kindergarten. Our school hours are 9:00 a.m. to 1:00 p.m. See our class descriptions below. 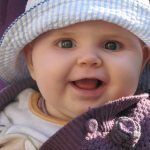 In the infant (3 months-11 months) class we strive to be a comforting presence and to help babies reach their developmental milestones. Equipment and toys are safe and age appropriate. The infant room arrangement satisfies individual needs by allowing space for eating, sleeping, and playing. Your toddler’s learning experiences and curiosity will be enhanced with such things as hands-on manipulatives, books, puzzles, songs, finger play, dance and art. These activities are designed to increase the child’s imagination, to better understand his/her senses, to enhance language and social development, and to encourage thinking skills. Throughout our daily activities, our nurturing teachers give praise and encouragement. They strive to build self-esteem and confidence in these toddlers. 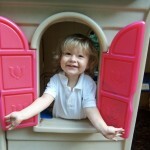 Two-year-olds will build language skills through social interaction, stories, songs, and dramatic play. Self-help skills such as dressing for outdoors, putting on shoes, ongoing toilet training, washing, and feeding will be encouraged. They will learn about personal hygiene, safety, peer participation, and the meaning of community. Numbers, colors, shapes, and the alphabet will be introduced. 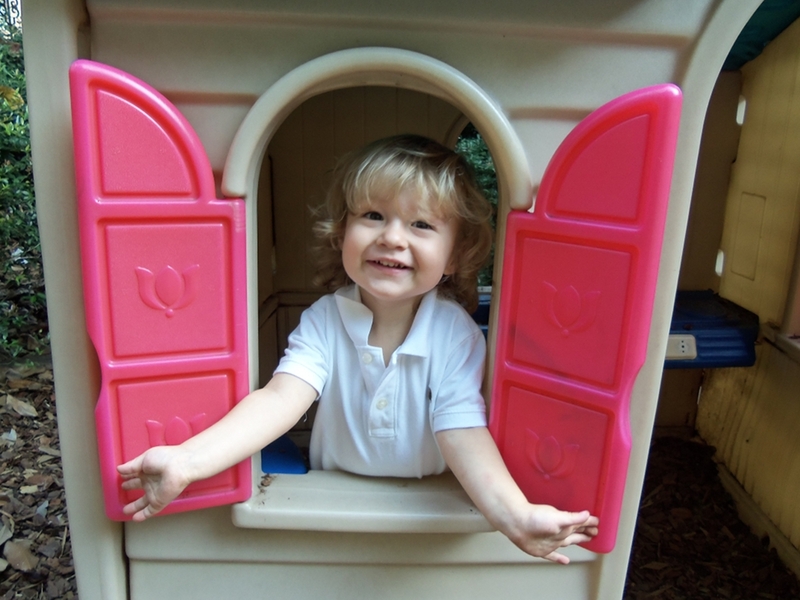 Children may explore with a variety of materials including sand, clay, blocks, and paint. Eye/hand coordination will be developed along with small motor skills by using puzzles, beads, and pegboards. The children will have many opportunities for creative expression through art, finger plays, and dance. Children will have daily opportunities for exercise in both our indoor and outdoor play areas. In our three-year-olds program, we promote self-esteem and the initiative to solve problems and resolve conflict. 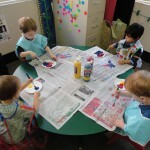 The children will express themselves through art, creative play, music, and dance. We will continue the study of numbers, shapes, colors, alphabet, phonics, and handwriting. Small and large motor skills will be developed through challenging and enjoyable activities. Safety issues will be reinforced. 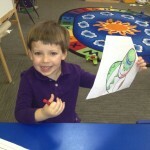 In learning about themselves children will also learn about relationships with peers, family, church, and environment. 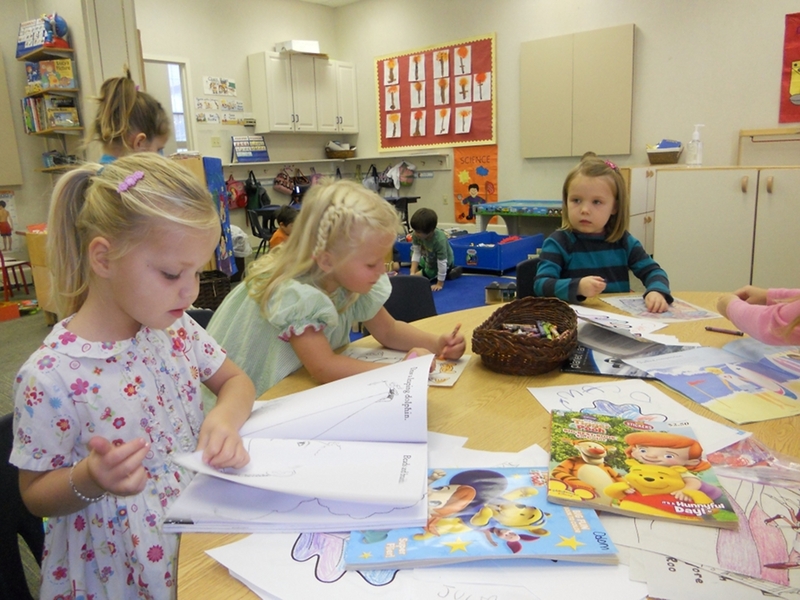 The Pre-kindergarten curriculum is designed as a preparation for Kindergarten. Our focus is to develop the whole child by providing opportunities that best suit his or her individual needs. We will reinforce letters, numbers, colors, shapes, alphabet, phonics and handwriting, pre-math, and pre-reading. 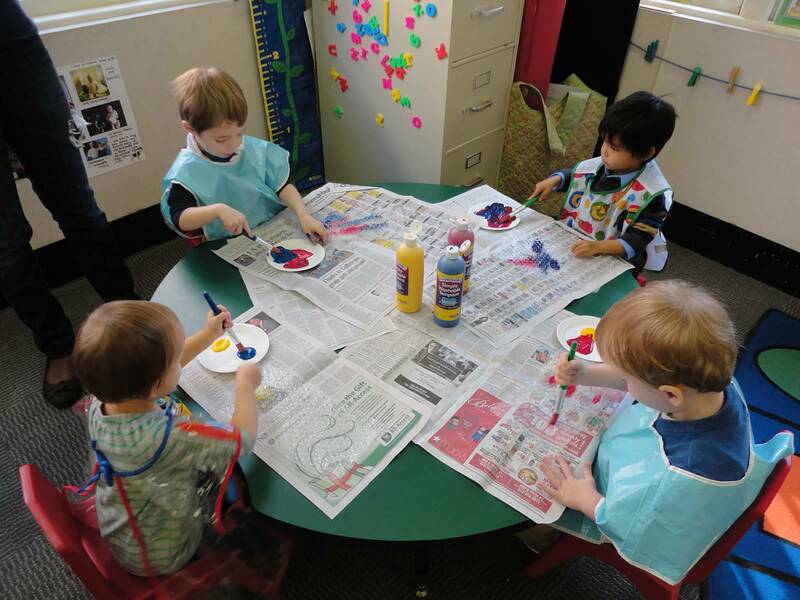 The children will express themselves through art, music, creative and organized play, and dance. Special units will involve food and nutrition lessons, manners and social conduct, safety awareness, cooking activities, and science projects. The foundation will be laid to develop the confident, motivated, and creative child.